No time to leave town but dying for a break? Would love to try one of legendary sommelier Richard Deans Winemaker’s Dinner but no one wants to be the designated driver? Drink to your heart’s content knowing you reserved The Campton Place Winemaker’s Dinner Package.This package (double occupancy) is for a one night stay but what a night it will be. Package costs are $535 for a deluxe and $665 for a suite. This package is available for the upcoming April 15th and May 5th winemaker’s dinners, which will feature a fine wine-paired dinner with Richard Dean and special guest wine maker as well as a wine hamper amenity valued at $100. Or perhaps you need to update your wardobe with some new easy, breezy summertime dresses? The Shopper Stop Package puts you in the cat-bird seat of shopping with Campton Place’s location just steps from Union Square. This short, sweet and to the point package is for a one night stay and includes a $150 Gumps gift card and shipping credit up to $100. Package cost is $475 for a deluxe room, $599 for a suite. Package valid from now through Jun 30, 2008. 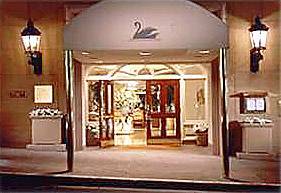 Campton Place, A Taj Hotel, announces a variety of options for its 2008 packages, which pair the unparalleled Union Square boutique hotel experience with exciting holiday getaways, shopping sprees, spa indulgences, fine wine and dining. All packages feature a choice of a deluxe room or Campton suite. Deluxe rooms are spacious with pearwood paneling, limestone bathrooms and look out on to Union Square. Campton suites are tastefully appointed with chaise lounges, writing desks, king-sized beds and over-sized tubs. The Campton Place Restaurant is under the direction of chef Srijith Gopinathan, who was classically trained at Le Manoir Aux Qaut’ Saison in Oxfordshire, England. Gopinathan led Deep End, the fine dining restaurant at Taj Exotica Resort and Spa in the Maldives, to a “Hot Tables 2007â€³ ranking by Conde Nast Traveler. He continues to turn heads at Campton Place with bold and inventive dishes.